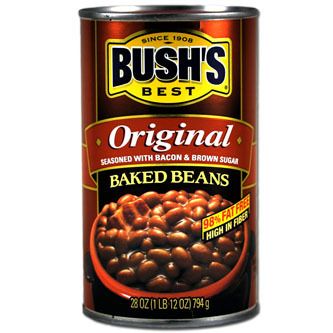 Bush’s Baked Beans are the traditional cookout favorite. Using only the finest ingredients, the secret family recipe is enhanced with specially cured bacon, fine brown sugar and a delicate blend of spices. Heat over medium heat until hot, stirring frequently.